Our host met us promptly on our arrival and explained everything to us. He was so friendly and informative and was prompt via text message when we had a question. The apartment was clean and well kept so close to the forum and colosseum. The room had an authentic Italian feel with a beautiful stone floor and wooden beam ceiling, but was clean and had new fixtures. I am very particular about bathrooms and these were clean and big. 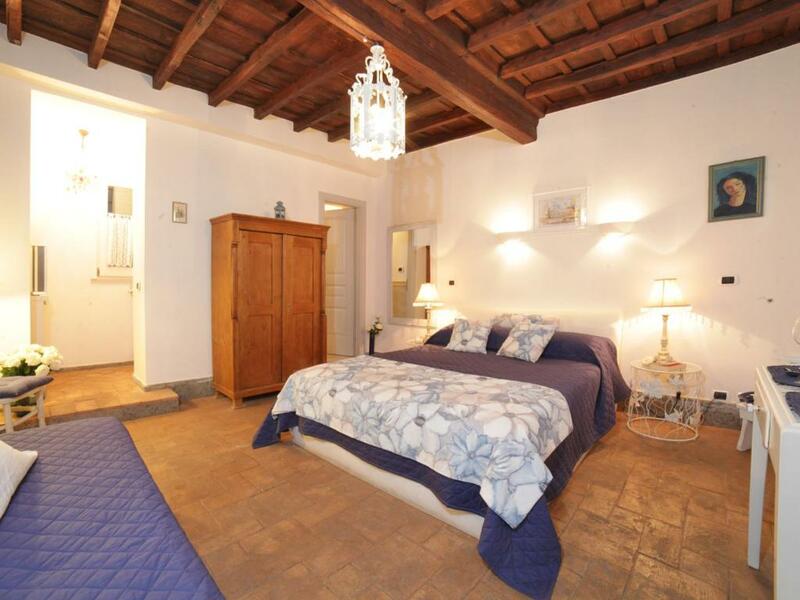 Located 1 min from Roman forum and close to colosseum. Nice area, felt very safe and lots of nearby restaurants. Only stayed one night but could have stayed in this spot for a week and never get bored. Marida and her colleague,( his name escapes me now. Sorry )were very welcoming. Everything was explained and pointed out. They even had a couple of dining vouchers and a voucher for luggage storage, in case you needed the service. 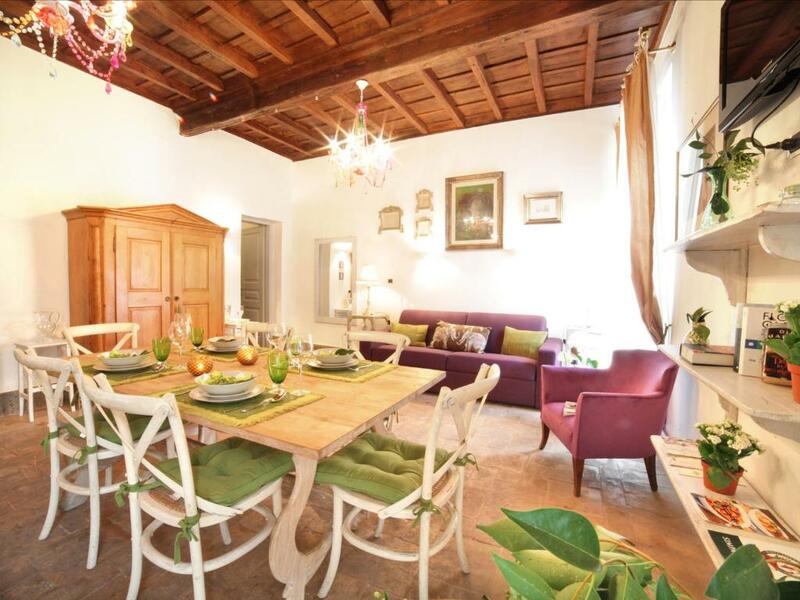 The little studio at via dell'Orso is perfectly located to enjoy a visit to the very heart of Rome. The studio is furnished with everything necessary to have a comfortable stay and is also surprisingly quiet despite being on the ground floor. We were checked in by Matteo, who kindly accommodated our early arrival and gave us all the necessary information, in any language (Spanish, English and of course Italian). For the price we paid, around 60 EUR per night all included, is a really good value. This apartment was AMAZING. I felt like my fiance and I got to "play house" in Rome because we had all the little amenities we needed. With a market place in walking distance we grabbed wine, meat and cheese and stored everything in our fridge. We also washed our clothes which was a perk. I seriously can't say enough great things about the street. It is lively and there are two great coffee shops with a great cappuccinos. I want to return and live on this street! Nearby the Colosseo. Very good location, walk to those attractives in minutes. Lock in a great price for Nostromondo Apartments Rome City Centre – rated 8.8 by recent guests! One of our best sellers in Rome! Located in the center of Rome, Nostromondo Apartments offers apartments and studios with free WiFi in 4 different addresses. Some apartments are a 10-minute walk from the Coliseum and Roman Forum and others are close to Piazza Navona and Largo di Torre Argentina square. Featuring a private bathroom with a shower and bidet, the air-conditioned apartments have modern furnishings. They are equipped with a flat-screen TV, washing machine and microwave. Guests at Nostromondo Apartments can enjoy Rome’s many historical monuments and the city’s lively nightlife. The Pantheon is within 1.2 mi of the properties, from which a variety of bars and restaurants are found in the surroundings. 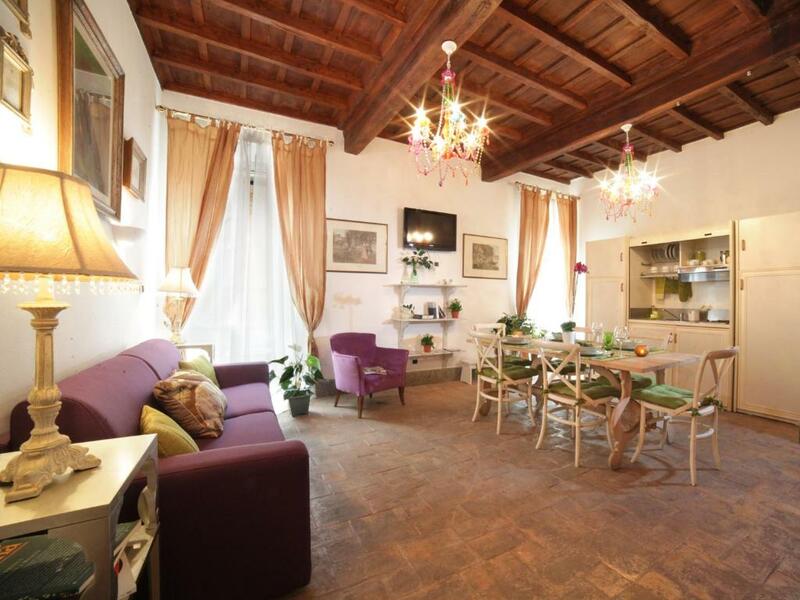 Termini Train Station is within 1.9 mi of the properties. 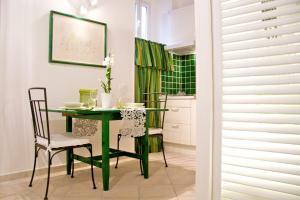 When would you like to stay at Nostromondo Apartments Rome City Centre? Address and check-in: Via dell'Orso 16. Featuring free Wi-Fi and a private bathroom with a shower and bidet, this air-conditioned one-bedroom apartment has modern furnishings. It is equipped with a flat-screen TV, washing machine and microwave. It also has an oven. Address and check-in: Via del Boschetto 125. Featuring free Wi-Fi and a private bathroom with a shower and bidet, this air-conditioned one-bedroom apartment has modern furnishings. It is equipped with a flat-screen TV, washing machine and microwave. It also has a sofa. Address and check-in: Via degli Ibernesi 23. This studio has air conditioning, tile/marble floor and kitchenette. This one-bedroom apartment with air conditioning features 2 bathrooms and a living room with kitchenette and double sofa bed. This apartment has a stovetop, air conditioning and private entrance. House Rules Nostromondo Apartments Rome City Centre takes special requests – add in the next step! A EUR200 damage deposit is required on arrival (around USD226.05). This deposit will be fully refunded 14 days after check-out, as long as there isn't any damage to the property. ATM card Nostromondo Apartments Rome City Centre accepts these cards and reserves the right to temporarily hold an amount prior to arrival. Nostromondo Apartments Rome City Centre accepts these cards and reserves the right to temporarily hold an amount prior to arrival. The apartments are located in the limited traffic area. Final cleaning is not included in the rate. A damage deposit of EUR 200 is required on arrival. That's about 226.05USD. This will be collected by credit card. You should be reimbursed within 14 days of check-out. Your deposit will be refunded in full by credit card, subject to an inspection of the property. Please inform Nostromondo Apartments Rome City Centre of your expected arrival time in advance. You can use the Special Requests box when booking, or contact the property directly using the contact details in your confirmation. No natural light, feels like your in a basement, you can here the street as no sound insulation, it is what’s in the pictures but good photoshop makes it look much more than what it is. We were two couples and the couple that had to sleep on the futon had a very uncomfortable night sleep as you can feel the rails and springs. Also, the wifi router was located in the living room and will not reach to the other bedroom. And it is best to double check if the air conditioning will be working as ours did not. It was at no fault of the owners, but more so the building itself as they do not turn on the air conditioning during certain seasons. Very good apartment with all the necessary things to feel comfy while staying there. A little kitchen with a refrigerator, stove, kettle, microwave all you need to cook (oil, sugar, salt, pepper, tea, coffee) in the apartment was a good bonus. Great owners, who were very nice and helpful. After booking they sent confirmations, several times asked if we need any help to get the apartment after arriving, provided us with detailed instructions on how to find the apartment (it was easy). Helped us with the very fast and comfortable transfer to the airport for 60 euros. The location is perfect. You can see the Coliseo behind the corner of the house, the Venice Area and the Rome Forum is just in two steps. The Trevi fountain is in 5 minutes walk, great moody restaurants district Trastevere - 15 minutes, The Vatican - 30-40 minutes. We didn't use any public transport there and enjoyed walking by this wonderful old city. The apartment is situated on a very silent street. We felt very safe while staying there even in the night. When we came back home, my wife has noticed that she lost her favorite earrings. And we were happy, when Sabrie (the hostess) sent me a message, that she found these earrings in the apartment and proposed to send them us by mail. The perfect service. Thanks a lot! Localization, apartment bigger enough, bathrooms excellent. At first sight, it looks like a perfect little apartment that has everything you need. But in fact when you start looking closer... Boiling water for a simple pasta takes at least 2 (!!!) hours with this stove. The hot water in the shower is only sufficient for one person at a time - so my partner and I had to decide who would be having a shower in the evening and who - in the morning. Were given soap only for a day (while staying for 6 days). All the surfaces were dusty, even the wine glass was dirty on the first day. And the room itself was SUPER cold, even with the hot AC on - we left Rome a little sick. Some carpet or a rug needs to be put on the freezing cold floor. You cannot use a kettle and a stove at the same time. We really loved Rome, so we tried not to get ourselves worked up. However, it was hard not to notice all of the above mentioned things. Hard to imagine a better location. Everything is close, even the Collosseum isn't too far if you don't mind walking 20-30 minutes. The bed was comfortable. Were given lots of towels. The reception was welcoming. Really week wifi connection, not enough toilette paper and shampoo (only left 2 for 5 nights). The rooms are quite spacious, with a nice kitchen and bathroom. Excellent location for touristic travelling. Central position, close to everything you want to visit in the hystorical center. Confortable bed, cozy room, quiet place, everything you need in the kitchen for a few days. Friendly host. Very close to restaurants and bars. 16 Via Dell'Orso was another story. My friends only stayed there one night. After hearing that of my friends cried on seeing the apartment I insisted that they move in with us when room allowed. There is a reason why the majority of the photos on the website are mostly of Via Degli Ibernesi. WE had a very mixed experience. Because there was a large group of us we had to rent several apartments. 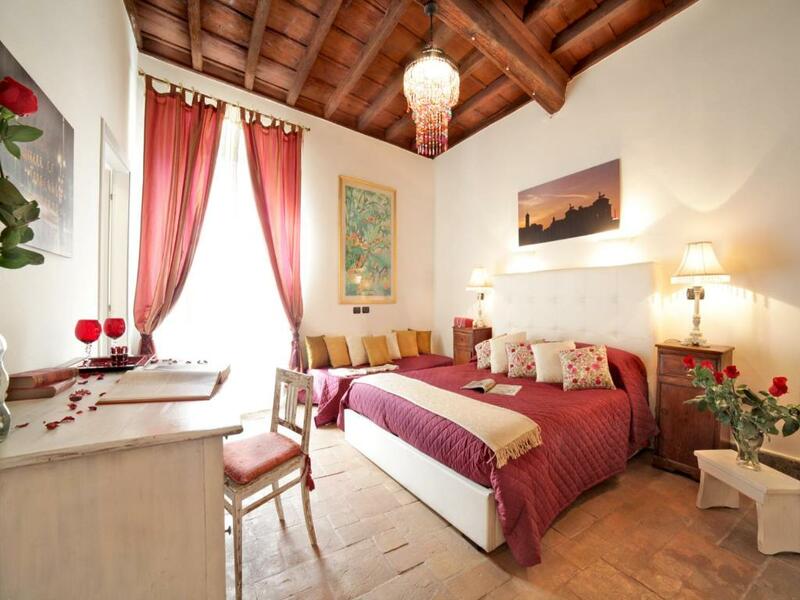 The one I stayed in 23 Via degli Ibernesi was perfect! The location was close to a wide range of restaurants and close to all tourist sites. The airport shuttle service couldn't be faulted either. Loud neighborhood in the evening, music store is next to the appartment. It was quite noisy at night (Via Dell Orso) being on ground level and in a street with bars), however location was excellent. Excellent location, walking distance to all main attractions. Portable WiFi device made travel across the city easy. Staff were accessible and very helpful.